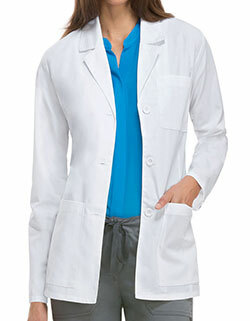 Dickies Xtreme stretch 28 inch snap front junior fit 82400 labcoat Fits perfect and looks professional! 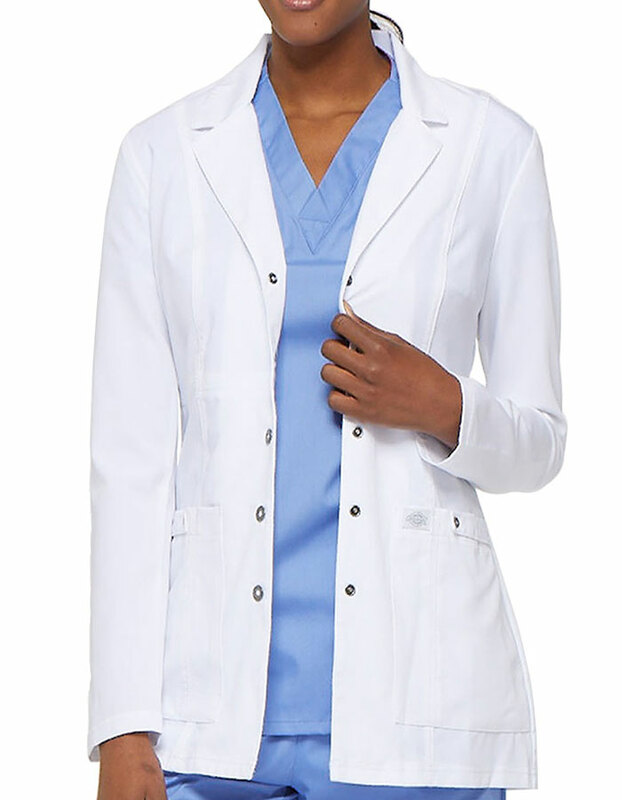 the lab coat is designed to deliver a sleek and elegant look. Highlights front and back princess seams for a feminine look. A snap tab detail and back belt tabs enable you to fasten your coat at your perfect fit ensuring mobility.